If there's anything I hate more than call lights in nursing, I would have to say that IV pumps would rank right up there. If I met one in a dark alley I don't think I could be responsible for what I would do to it. As a nurse, I've worked extensively with IV pumps and they have the ability to make you want to jump off a cliff. The craziness of them beeping for no apparent reason, even though you've checked the upstream, downstream and around stream for occlusions and nothing can ever be found is just plain nuts. Combine that with the fact that the "smart" IV pumps are dumber than a box of rocks and you've got a not so friendly user experience. When you can't find a critical drug like Dopamine during a code, that's a freaking problem...Seriously? Now, I do need to add that I have not only worked as a nurse in the ICU and the ED with IV pumps. I have also worked for an IV pump company. 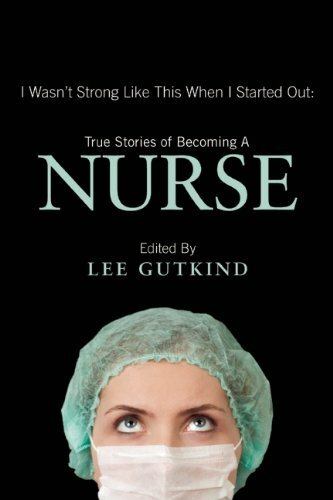 For four years, I traveled nationally teaching other nurses and physicians how to use them. So, you could say I am an expert on the dreaded things. Many of the older pumps weigh as much as a five-year-old child and I still see a lot of them in use. So, it's not bad enough that nurses must lift 400 lb patients, but let's make the IV pumps weigh a ton too, so they can get their disability payments even sooner. Thankfully, these pumps are being phased out for the new "smart" pumps. For those of you who are unfamiliar with what a "smart" pump is, they are really like small computers. They usually have a drug library in them that is separated into the various "care areas" in your hospital. So, for instance, one care area may be for the ICU while another is for Med-Surg. In these care areas are the drugs and the dosages and concentrations that are actually in each care area. Now, that all sounds great, but here's the problem. Most of these drugs are programmed in by your pharmacists in your facility. Now, I'm not hating on pharmacists so don't send me any hate mail. Pharmacists are very smart people, but they're not nurses. They know medications, but they really don't understand the way they are administered at times. In other words, they don't understand the real world of nursing. The reality is that no two patients are alike and all have different needs, that cannot just be programmed into an IV pump for every patient's use. So why is it necessary to even program these meds into care areas within the pump? Well, because there are also what's known as limits set into the programming. This is done for safety reasons and makes sure that if you enter the wrong dose or concentration by mistake then the pump will alert you and stop you from hurting the patient. Sounds great! But if your pharmacist doesn't add these medications and the limits, or is completely "by the book" when they program the limits for that drug, then when you are using the pump during a code, all hell can break loose and you may end up using it in the "BASIC" mode which is virtually a dumb pump that will not protect you from your own mistakes. Some of these pumps can be updated over the WIFI system in your hospital and some cannot. If they can't then that means all the pumps have to be gathered up from each patient's room and taken to the pharmacy to be manually updated. Not a very "smart" idea and not realistic at all. So the bottom line with these pumps is that they just won't get updated. The WIFI versions of the pumps can be updated very easily, but these pumps have their problems too. Recently there was an issue with a certain model of Hospira pump that are actually dangerous because hackers can intercept them over the WIFI system and change the dosage of your patient's medications. A situation that would be ripe for a terrorist attack. These pumps are actually being recalled so this issue can be dealt with. Many nurses also complain that the upstream and downstream occlusions on these new pumps are ridiculously sensitive and nurses spend half of their shift running in and out of patient's rooms trying to diagnose the problem with the occlusion alarms. One of the great things about these new smart pumps is that they can be locked and unlocked with a password, which prevents demented or drug-seeking patients from tampering with the device. While I know these pumps are here to help nurses do their jobs more efficiently and they are safer for the patient than the older versions, they can still be a nurse's nightmare on a busy night in the ICU. I think one of the main reasons that I.V pumps still have a lot of quirks to iron out is that they are developed by engineers that are not medical people. Yes, these companies consult with people who are familiar with the administrative side of the medical field, but they are not nurses. Then, there are the salespeople who are often not medical professionals either. They don't listen to nurses when they develop these devices. I think this is a critical mistake. Perhaps if more of these companies listened to the feedback of nurses who are actually using the pumps we wouldn't have so many problems with the crazy alarms and numerous problems with drugs not being accurate. Just my two cents anyway! Do you have a comment about this article? Comment below.